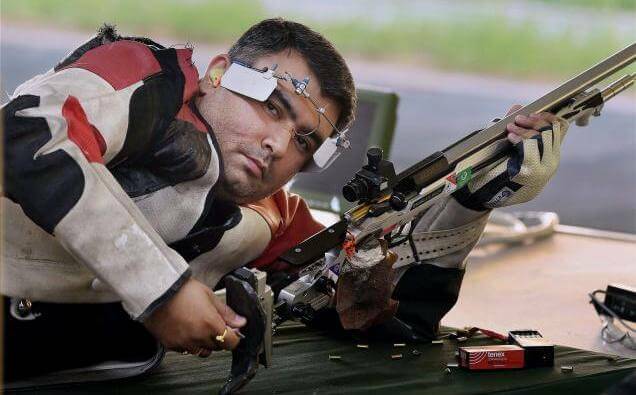 Olympic bronze medallist Gagan Narang made a stunning comeback to win silver medal in Men’s 50m Rifle Prone at the Commonwealth Shooting Championship in Brisbane. The 34-year-old Narang, shot 246.3 to claim his first international medal of the year. 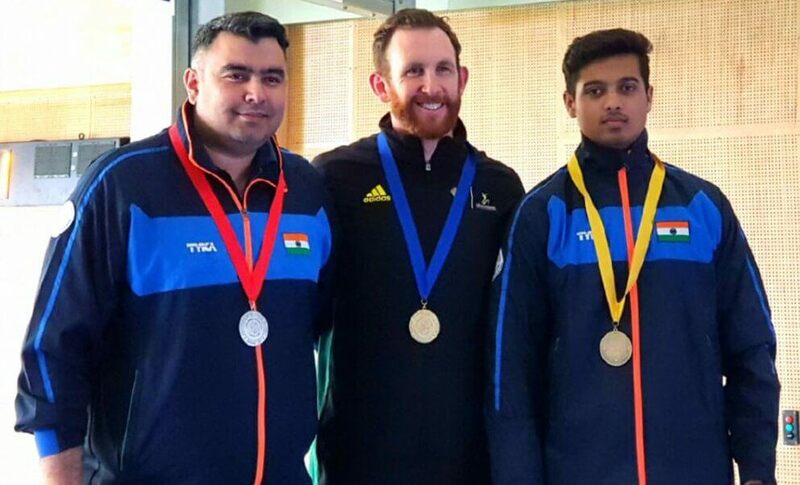 However Narang’s qualification score of 617.6 (102.6, 101.2, 103.8, 103.1, 105.0, 101.9) was not the best by him at an international competition this year, he had shot 622.0 in the ISSF World Cup at Gabala. 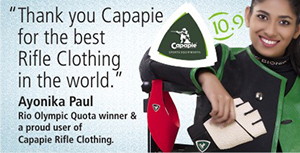 Another Indian Swapnil Kusale bagged the bronze with 225.6 points. Kusale who had won the National Championship in 2015, shot a qualification score of 619.1 (101.3, 103.4, 102.9, 104.4, 103.8, 103.3). Dane Sampson, who had finished 6th in the season opening World Cup in Delhi, shot some good inner tens in the climax to take the gold, 1.4 point ahead of Narang. The reigning National Champion, Sushil Ghalay shot a qualification score of 614.1 (100.3, 103.2, 103.0, 103.0, 102.3, 102.3) to finish 10th. Olympian Annu Raj Singh, who also made a comeback in the Indian team, shot 28 in the finals to win bronze in the Women’s 25m Pistol. The gold and silver went to Australia’s Lalita Yauhleuskaya and Elena Galiabovitch respectively. Earlier, Annu Raj shot a qualification score of 578 (94,95,99,96,97,97), Rahi Sarnobat also shot 578 (97,97,97,95,97,95) while Heena Sidhu who won the air pistol gold on the opening day shot 571 (94,98,99,87,96,97). Heena and Rahi were also good enough to make the cut for the finals but eventually finished 5th and 6th. Men’s 50m Rifle Prone: 1. Dane Sampson (AUS) 247.7 (624.3); 2. Gagan Narang (IND) 246.3 (617.6); 3. 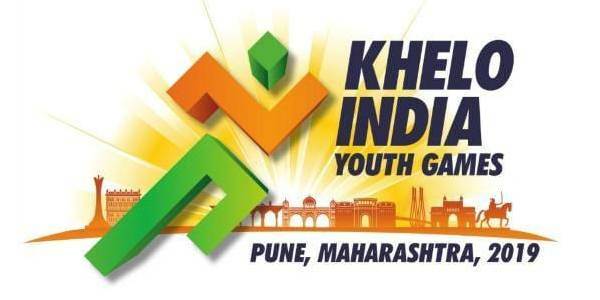 Swapnil Kusale (IND) 225.6 (619.1); 10. Sushil Ghalay (IND) 614.1. Women’s 25m Pistol: 1. Lalita Yauhleuskaya (AUS) 35 (571); 2. Elena Galiabovitch (AUS) 32 (577); 3. Annu Raj Singh (IND) 28 (578); 5. Heena Sidhu (IND) 21 (571); 6. Rahi Sarnobat (IND) 17 (578).